For some of us, nothing beats the feeling of cards on the felt as we sit surrounded by people in a busy casino. For others, poker is more enjoyable with friends and some food, and then there are others again, who prefer the quiet life of the online poker player. But which is the best and the most likely to bring in the cash? Let’s start off with the home game. Playing with friends around the kitchen table (or better still, a poker table) is a lot of fun. There’s the camaraderie of friends all doing something they enjoy together, and it’s a good excuse to get together for a cold one and some food. The best thing about this setup is that you play for chips or small money. There’s rarely any real action in the house, and this prevents you from going over budget with your bets. Unless, of course, you’re friends with some “Goodfellas type” of guys. Now if you’re going to do it at home, you might as well do it right and host the ultimate home game. Otherwise, it’s just a bunch of guys sitting around a table wondering if it’s about time to go home. Set it all up just right, and the home game can be one of the most enjoyable nights of the year. But let’s face it, most of us play poker to build that bankroll. So, let’s move on to where the real action is. Next up, it’s the online poker rooms. 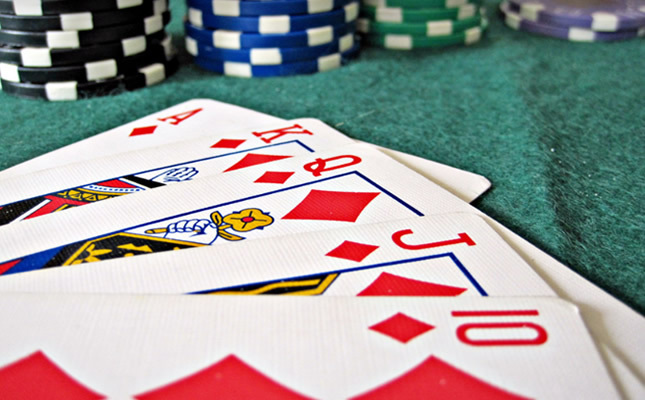 Now if you’re not familiar with online poker, don’t dismiss it out of hand. Last year’s WSOP winner Scott Blumstein spent his days grinding in online poker rooms before qualifying for the main event in Vegas. Playing online is a solitary game, but this is a good thing, especially for beginners. If you aren’t all that confident about your game, it’s a way to get some real poker action without feeling unnerved by the pros across the table from you. It’s also a way to limit your spending, as a computer is much easier to walk away from than a casino table. You can even eat pizza and play in your PJs. Yep, online poker has it all. But what about the money? Many poker rooms play for the small change, but there are quite a few online tournaments with big pots. The myth that online poker is small-time has been well busted, and a lot of pros make a serious living playing online. And last but by no means least, we come to the casino. The smell, the sounds, the feel of the cards; all of it amounts to what many describe as the perfect experience. There’s nothing like it. Of course, this can be both good and bad. As we mentioned earlier, playing in a casino can add to the pressure of what is already a high-stakes game, and if you’re not a seasoned player, then you could find yourself out of the game quick. There’s also the potential for big spends and not just at the table. Not everyone lives right by a casino, and a night out at the tables may involve travel and accommodations. And once you’re in the casino, you’re more likely to make a night of it and spend more than you budgeted for. But the truth is that a casino is probably the place where you can make the most money and up your game significantly. By playing face-to-face with better players, not only will your game improve but you inadvertently pick up positive poker habits, such as eliminating your tells from your game and reading other players’ actions. So, which is the best? Well, that all depends on your goal. If you want to have fun, then it’s the home game, for sure. If you want to make a little cash in a no-pressure environment, then the online rooms have you covered. But for that all-in experience, you can’t beat the casino. Which one does it for you?